So apparently "As heard in an empty mall" is a Thing. I was just coming here to post that! There's an article in the New Yorker about it, which probably means the trend is now thoroughly dead and buried. Toto's "Africa" was interesting, but the ones I personally found most affecting were "Wish You Were Here"
Came across those last night. I like em, even if they're an even purer version of "DMT death dream of capitalism" than Vapor Wave or 80s City Pop deep pulls. It really simulates what it must be like to be stalked in an abandoned mall with a serial killer who turned on some music just to taunt you. Jokes on you, Mannequin-Face, any WHAM song is much scarier in this situation. What is City Pop? I understand everything else about this post and want to know more. 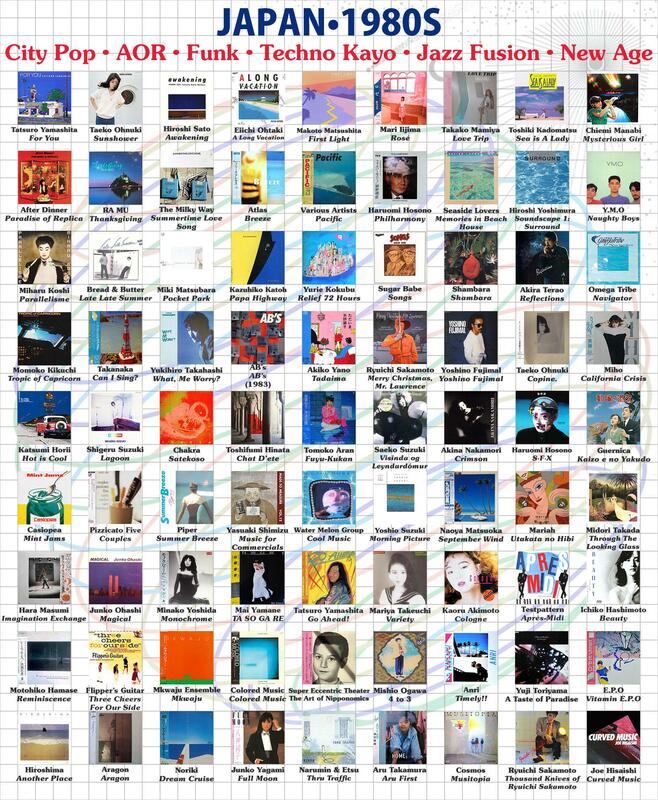 Early 80s Japanese synth-pop. It's had a rediscovery in the last couple years, and artists like Macross 82-99 consciously ape it. I like City Pop. Junko Yagami, Toshiki Kadomatsu, Seaside Lovers, Flipper’s Guitar, Pizzacato Five...all good stuff. See also a hell of a lotta 80s anime opening and ending tunes. Listening to this makes me feel like I'm about to watch some Ranma 1/2, or maybe I just finished some nice retro sci-fi with a heavy Blade Runner aesthetic. Reminds me of the time that Josh Millard tried to recreate The Downward Spiral with clips from Frasier, which he called "The Seattleward Spiral", which I can't believe I haven't yet posted in here. This is some beautiful high-grade trolling. Found it by accident when looking for music for Tegan.